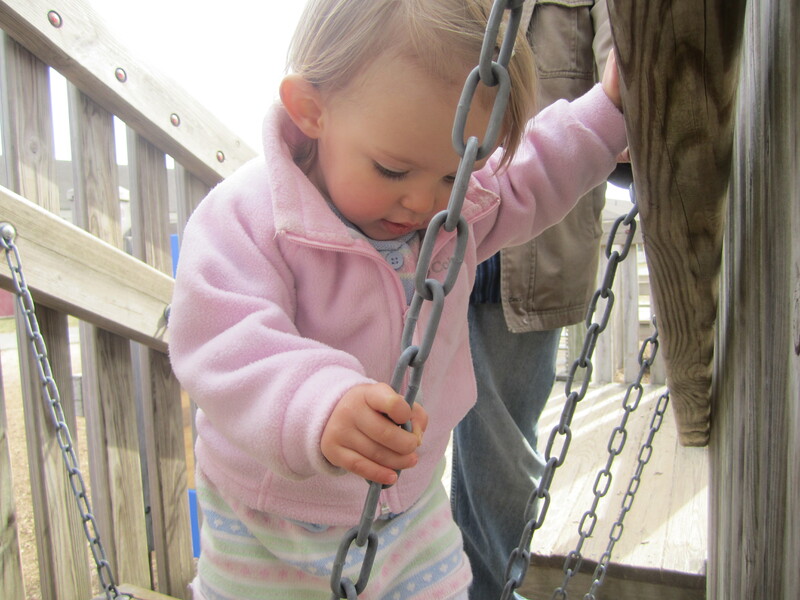 Now that it’s getting warm, we’ve been spending less and less time at the ECC, only going on truly dreary days. 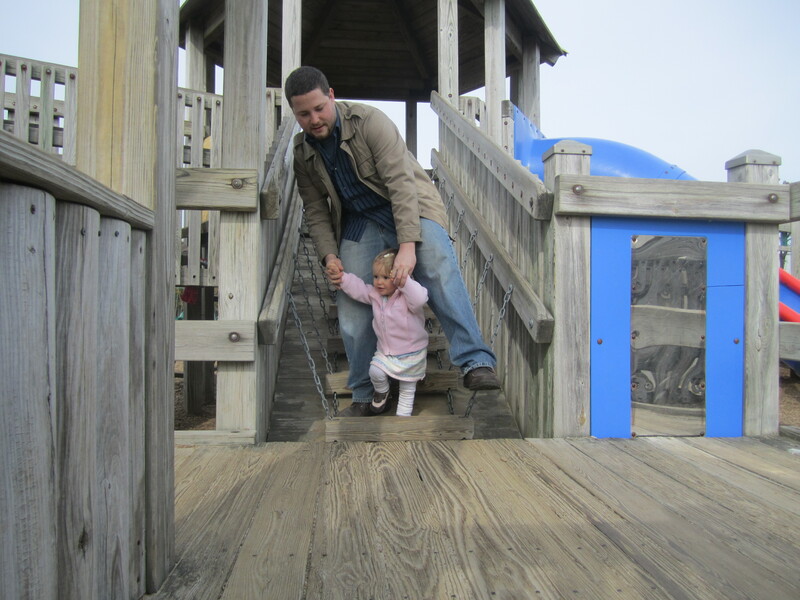 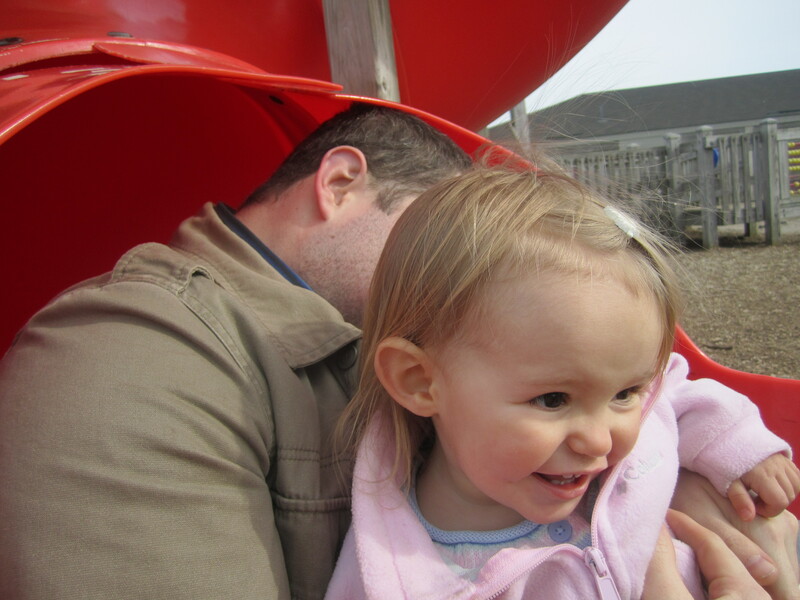 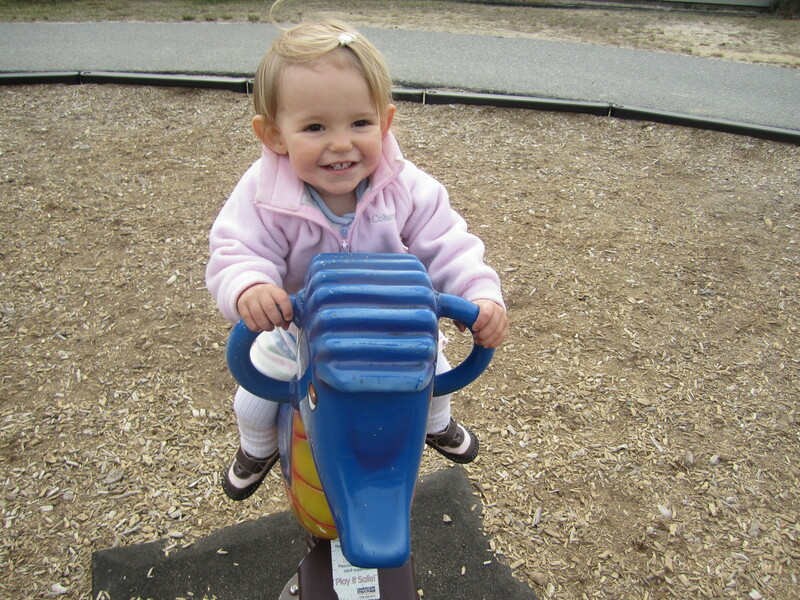 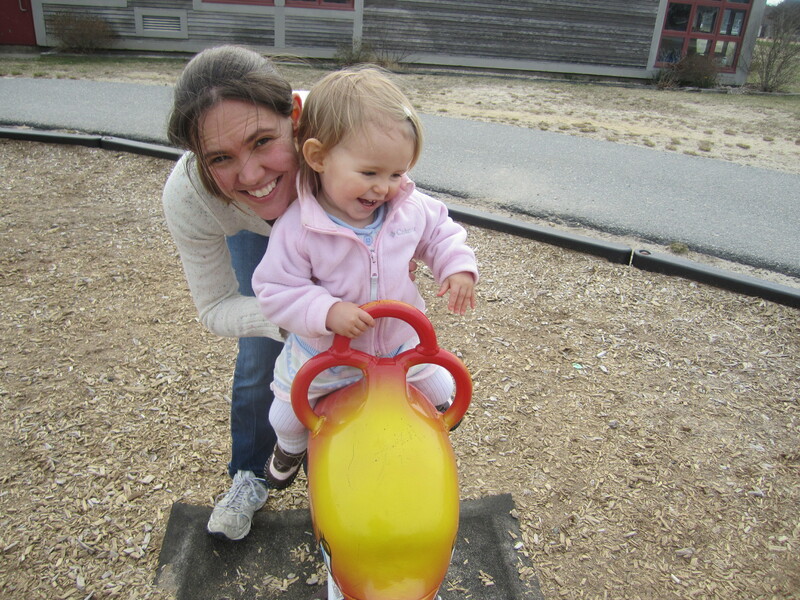 Instead, we’ve been having fun exploring all of the playground equipment on island. 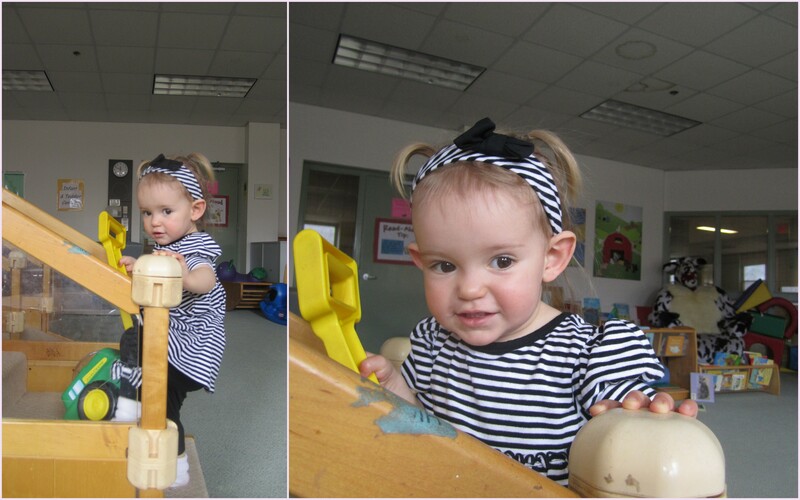 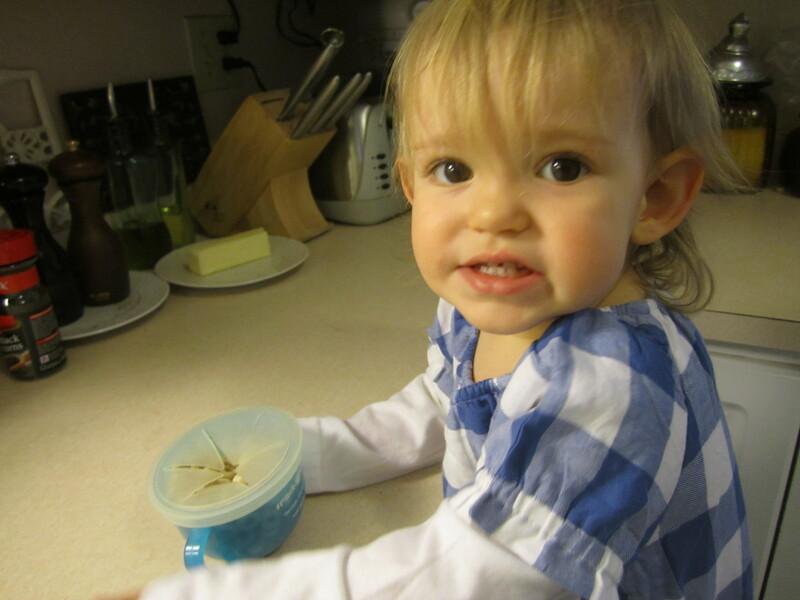 Nora has turned into quite the little monkey, climbing on everything in sight — including up onto our dining room table!